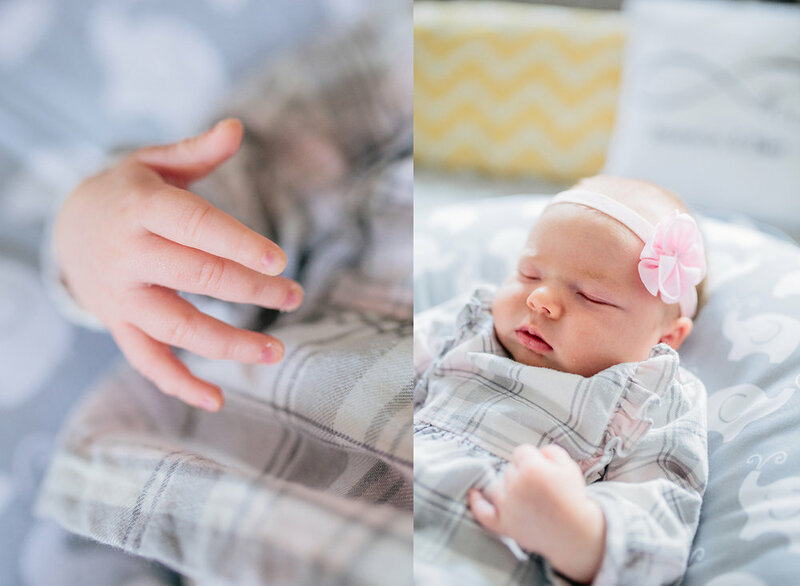 Today I am sharing images from a recent lifestyle newborn session. Madison was born on March 21, 2018. 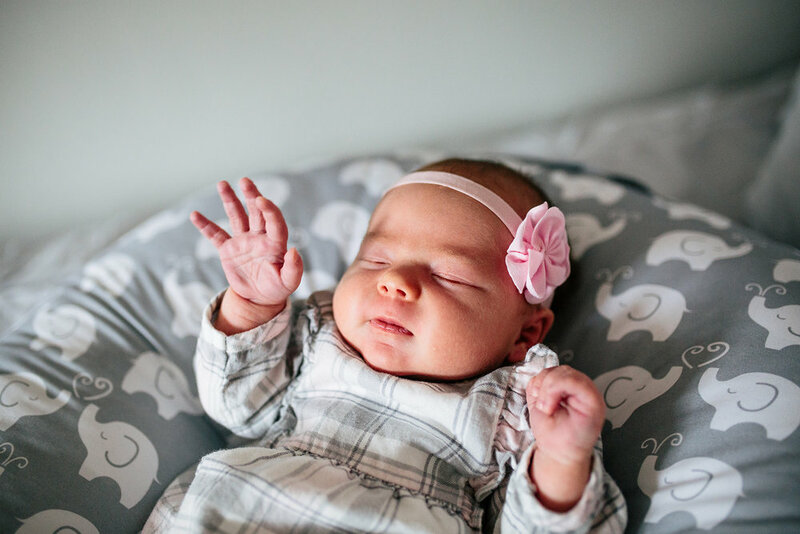 Mom has reached out to me about a month ago to schedule Maddy's newborn photos. 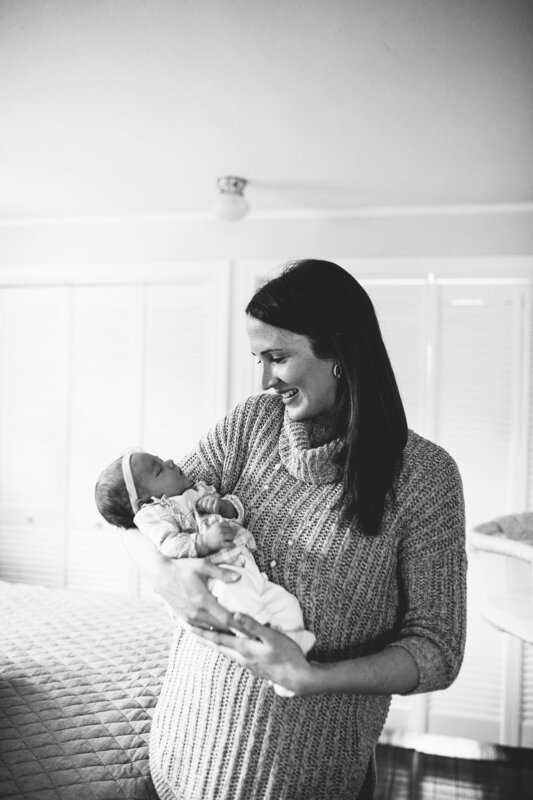 Lifestyle newborn sessions are some of my favorite! If you're unsure of what a lifestyle session is, you'll see what I mean in these photos. Lifestyle sessions are more intimate, relaxed and fun. I come into your home without any props. I only use the items around your home. I capture your family being yourselves. 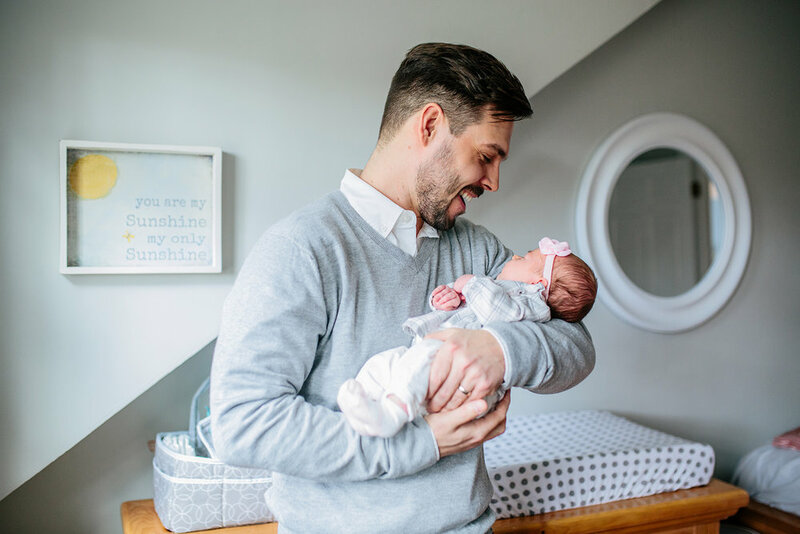 Whether it's welcoming a new baby into your life, or just capturing a day in the life of your family. 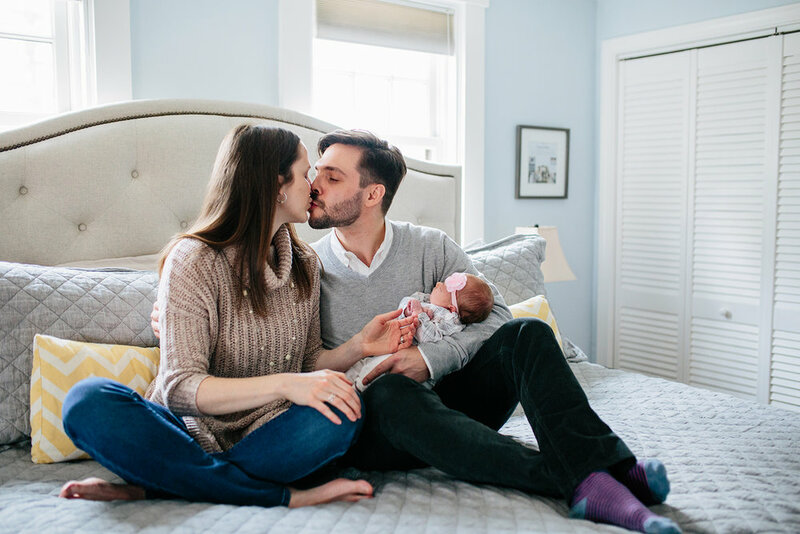 With the images I capture, I'm able to tell a story of you, your love for your family, and the everyday moments you don't want to forget in the future. These sessions mean more to you than any other. These are images you will treasure for many moons to come. They'll make you say "Ah that was when I did this and we laughed so hard!" or "Remember when we had that old couch?" These images will be sure to stir up some memories years from now!